To celebrate the 2016 Rio Olympics, I decided to purchase a box of 2016 Topps Olympics. Unfortunately, my local wax dealer did not have any for sale. So, I decided to run over to the closest Target and buy a blaster box. At $19.99 for eight retail packs, my expectations were low, but I thought it would be fun to watch the U.S. delegation and have some cards for the kids to look at. So as expected, the hits in this break were few, but the parallels are cool. 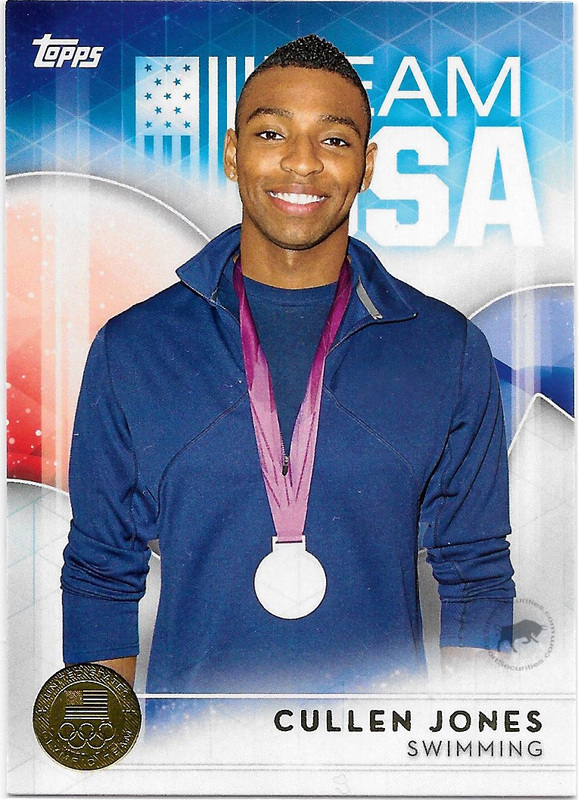 As with previous Topps Olympic releases, each pack contains a base card parallel that can be found in the three medal types (Bronze, Silver, Gold). Bronze is the most common version at one per pack, Silver is next at one in two packs, while Gold is the rarest version found in every four packs. Outside of some Gold medal parallels, I had little hopes of anything big. This is mainly because the odds of pulling a memorabilia card or an autograph card out of a retail product are very low. 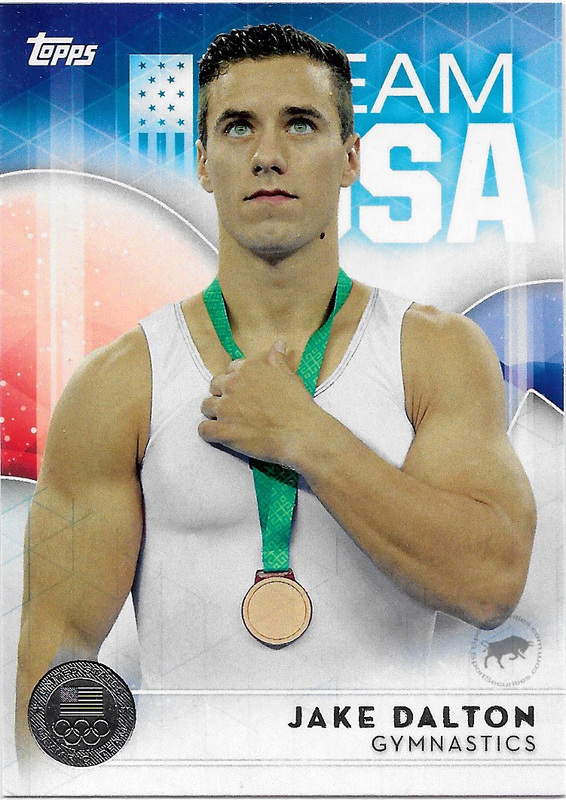 So, imagine my surprise when we opened a pack that had a Ryan Lochte auto. At one in every one hundred and eleven packs or one in every fourteen boxes, autos are a tough pull (essentially case hits in sixteen blaster box cases). 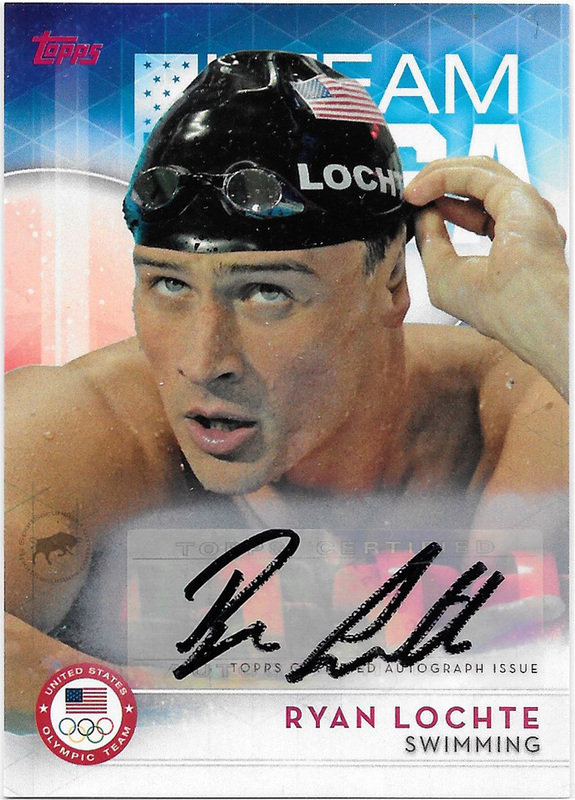 Furthermore, getting an auto of a decorated Olympic athlete such as Ryan Lochte makes the pull even better.